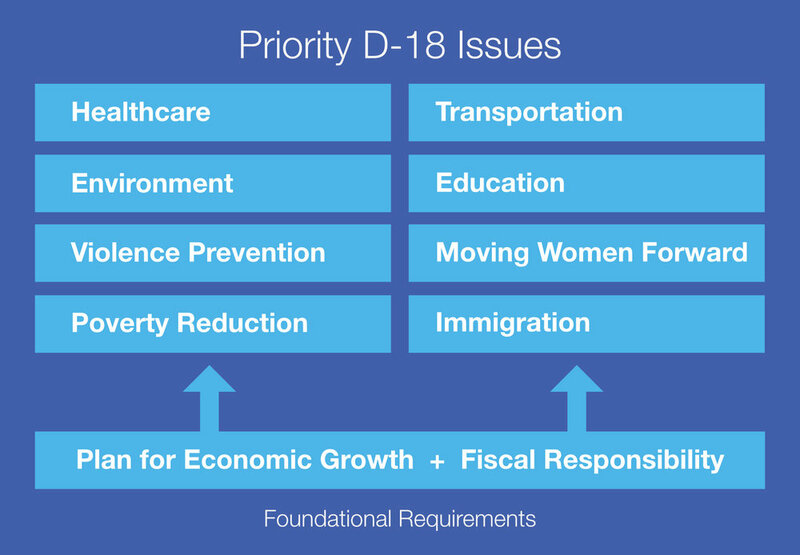 Leslie's approach to increasing the quality of life for District 18 residents, and Marylanders at large, starts with a foundation of sustainable fiscal management and economic growth. Without a strong fiscal position, our state cannot adequately support our people or infrastructure. When we are strong, we can increase our quality of life and best help the most vulnerable. Leslie's approach to doing the work of a Delegate includes identifying evidence-based best practices, and using data and analytics to make the best decisions. Maryland is a small, progressive state and this allows us to seek out partners in nonprofits, industry, and academia to pilot new programs to enhance the quality of life for our citizens. Leslie is ready to bring her entrepreneurism and business experience to tackle big problems for District 18, and to help position Maryland as the progressive leader for the United States in executing innovative solutions to longstanding problems.